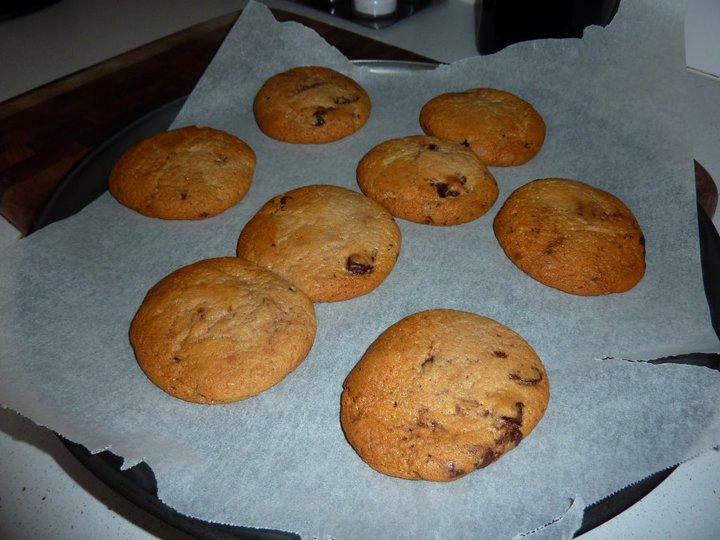 I quite like baking and there is something special about making something from scratch. Having said that there is also something nice about simplicity and when a lovely lady I work with mentioned that her daughter was having a fundraiser for school that involved cookie dough I was intrigued. 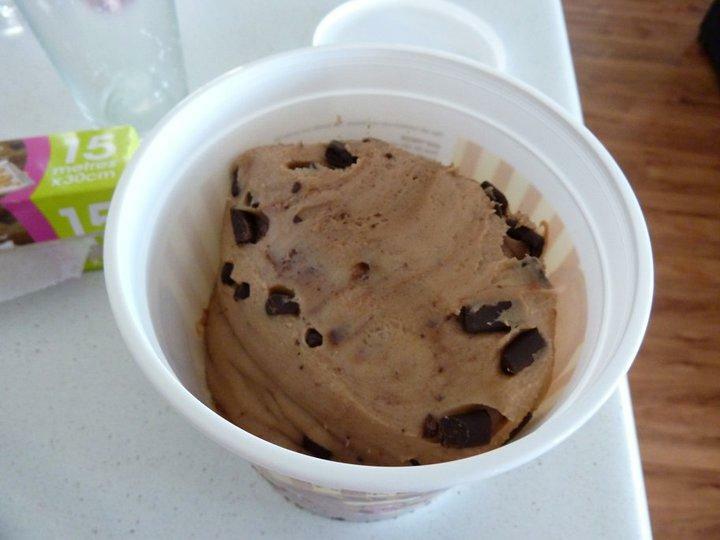 Sign me up for a tub of Choc Chunk I said. For the bargain price of $15 it was a great deal. So you can imagine my joy when the tub arrived! 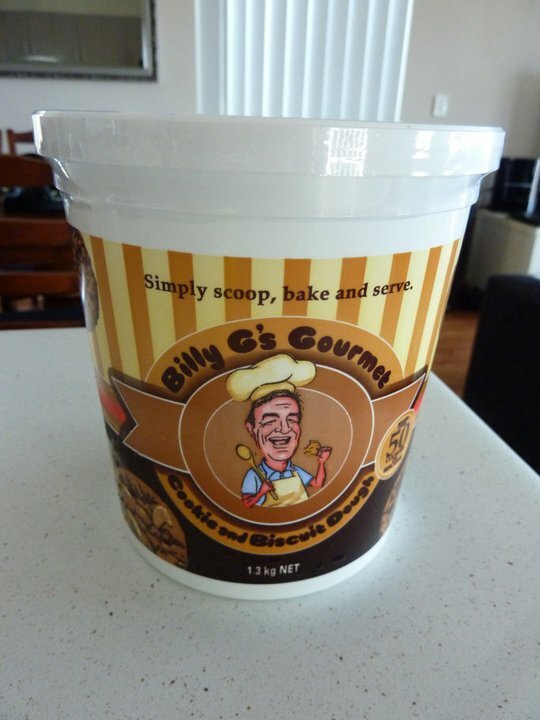 The joy of a biscuit where all you have to do is scoop it out of the tub and roll into balls. 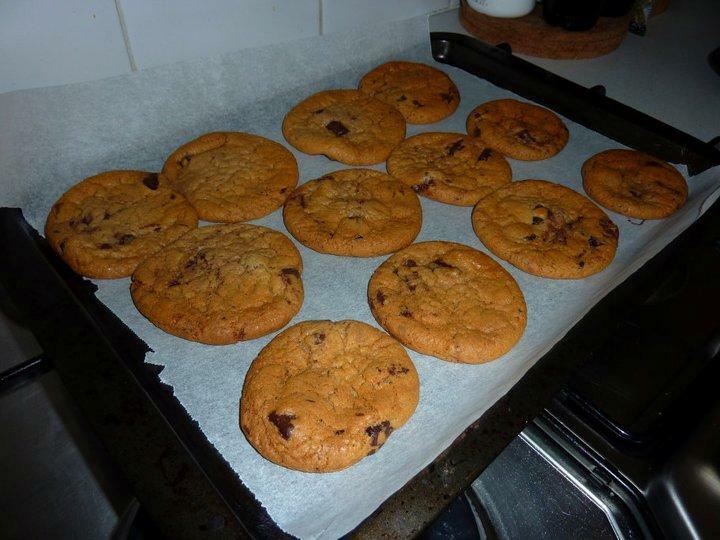 In a moderate oven for 15 minutes til golden brown and you got yourself a cookie! The smell of freshly baked biscuits is some kind of wonderful. Good times! Put the kettle on! 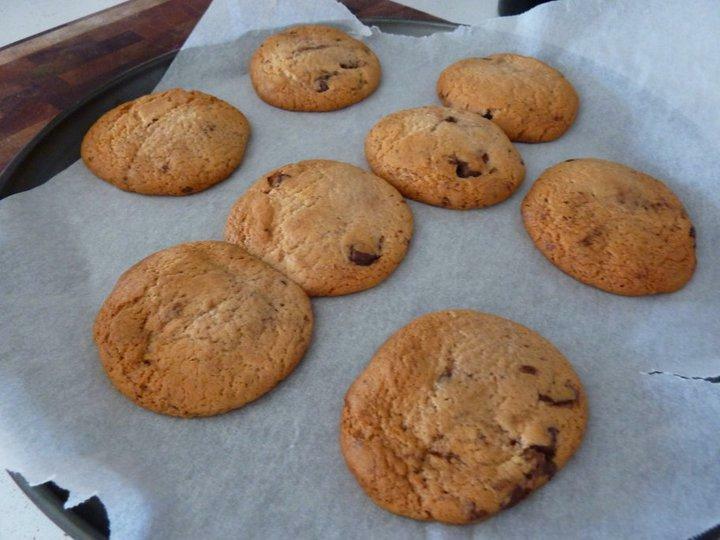 Cookies as easy as pie!